It’s not every day you get people agreeing to hang out in a place they consider a slum, particularly where its been labelled as a highly toxic area. On the 21st day of September 2014, for the second year running, the National volunteer’s day took place all over the country. Also known as founder’s day, is the birthday of the first president of Ghana, Kwame Nkrumah. The day was initiated by the Ghana think foundation as a way of encouraging the spirit of patriotic volunteerism among young people around the country. 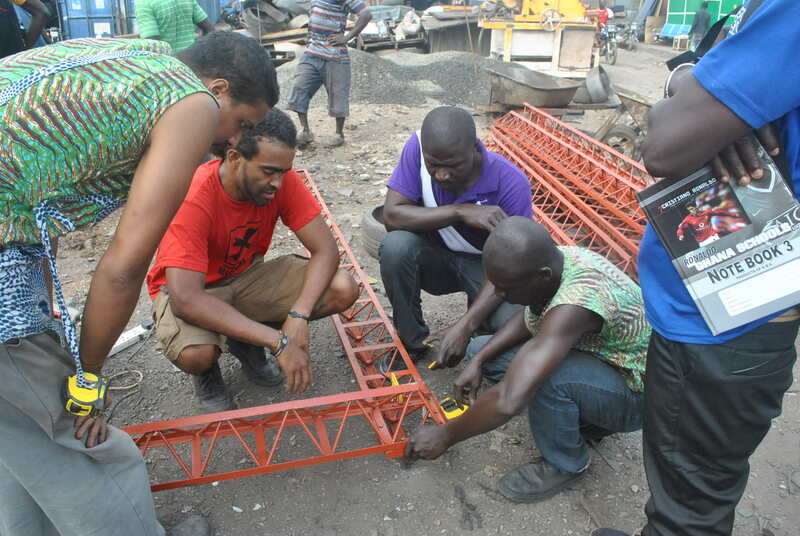 The AMP team reached out to the public to help tell the story of Agbogbloshie. Even before physically meeting on the site on event day, the energy was high and the vibe on social media was intensive. Actually, we converged on social media, long before we did in Agbogbloshie. When we finally migrated from our digital space to real space, we converged in front of the national youth authority building, where filled with a high sense of purpose to make a difference, participants, without much prompting, initiated conversations between themselves and e-waste workers who had been interviewed by the AMP team. The eventual venue for the pre-event orientation was in the green advocacy office space, which it has benevolently made available for use by the national youth authority and the scrap dealers association. 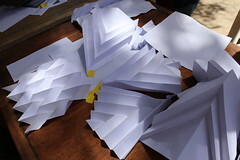 Mapping: GPS locations of water sources, maker culture, electricity sources and food joints in the yard. The volunteers comprised of freelance journalists, designers, architects, students, videographers and photographers amongst others. Participants volunteered to join one or the other category and all groups went out to undertake diligently their assignment for about two hours after which all conveyed back to the AMP site to help in assembling the spacecraft. The assembling of the spacecraft was centre stage for the day. The team had drawings of the makerspace mounted, while assembly proceeded. Once the community (e-waste workers in Agbogbloshie) got to know about our intention, they availed themselves and participated with enthusiasm in the tasks till the end. There was a lot of fun, as well as very relevant connections made. There was even a point where participants including the e-waste workers came together to sing. 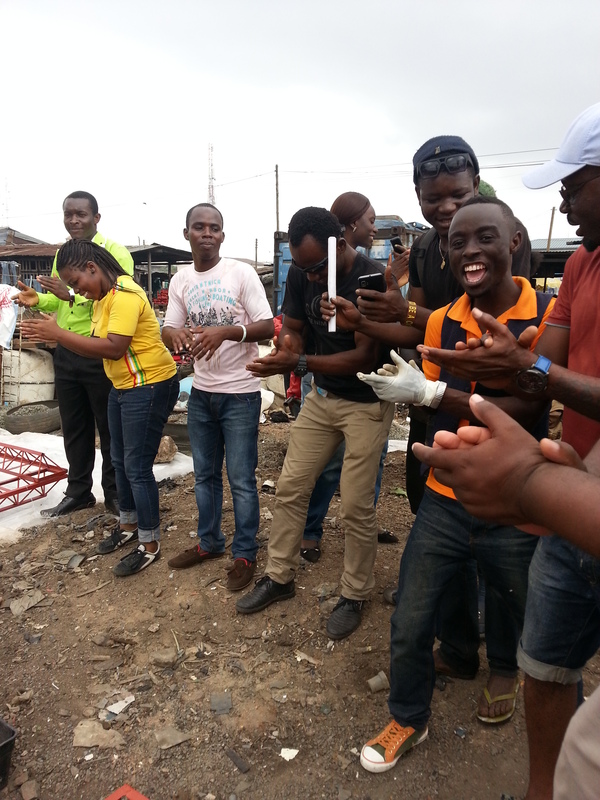 The volunteers were delighted to participate as they discovered a lot about Agbogbloshie. They made very interesting videos and took some pictures which some of them shared on blog posts. The program has actually achieved its goals and through this AMP progressed on the building of the spacecraft. It also created an atmosphere for the community to socialize. The program helped in correcting this false notion of Agbogbloshie being just a land of pollution and dumb site in the mind of people. They realized that aside dismantling of electronic equipment there is also a lot of relevant maker and/or recycler culture.